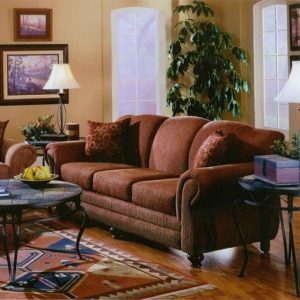 Bench built finely crafted country furniture style country style sofa. 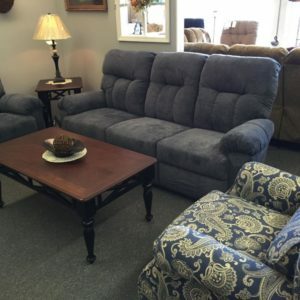 Country Style Sofa with coil spring construction, made in usa. 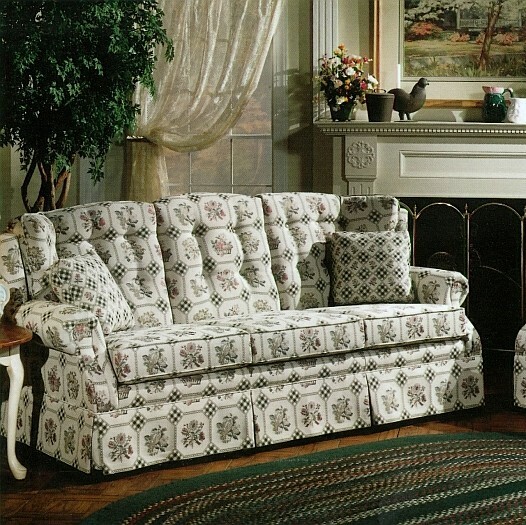 Featuring rolled arms and tufted back. Hardwood frame is sturdy and durable. 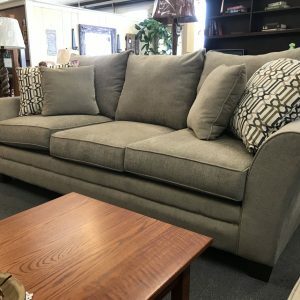 Gorgeous fabrics, coil spring construction, and hand tailoring are just some of the quality features of this quality set. Hundreds of fabrics to choose from.